CHQ Chairman Richard A. Viguerie has been calling for the replacement of GOP Speaker of the House John Boehner arguing that Boehner’s not a conservative and that his regular failures of leadership disqualify him from heading the largest House Republican majority since 1928. Mr. Viguerie’s calls for Boehner’s replacement have been regularly ignored by the establishment media who cover Capitol Hill and share Boehner’s love of Big Government. But in the wake of the revelation that Boehner’s second ranking lieutenant, House Majority Whip Steve Scalise, spoke to a racist group (the European-American Unity and Rights Organization) founded by former Ku Klux Klan Grand Wizard David Duke, and Boehner’s 100% support for his embattled lieutenant, Mr. Viguerie’s demands for Boehner’s replacement have suddenly gained new adherents. Fox News personality and influential talk radio host Sean Hannity is calling on every Republican member of the House of Representatives to reconsider whether Boehner is in fact an effective leader. Hannity, like Viguerie, said that if Republicans return to conservative principles by rejecting Boehner and installing a replacement, they will be rewarded with political victories in 2016’s crucial presidential election. 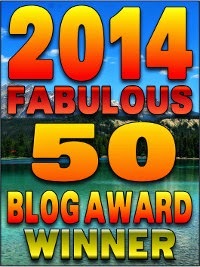 BEST OF 2014: "Dear beautiful America, please, stop moving Forward"
Upon migrating to the United States many years ago, I embraced my new home and left the past behind. Never could I imagine that, at some point, that past would become relevant. But now, I am compelled to talk about it again. In the USSR, we had state-controlled media which shaped the narrative entirely. Our founder, Vladimir Lenin, was portrayed as a noble, charismatic, and smart man -- the champion of the underdog (the working class), the seeker of equality, defeater of the rich. The humble man with common ideas who was destined for greatness. Lenin peered at us intently from textbooks and walls. His was the face behind the good intentions that shaped our everyday life. As a kid, I was largely shielded by my family -- they took the brunt of "adult tasks" in everyday life. They bribed officials to accomplish the most basic of things, they conserved every kopek and piece of bread, they got me the rare medicines I needed, all through means I didn't dare fathom. Of course, there was nothing special about those medicines, those favors, or anything else that took such effort to obtain -- in America, you can just go out and get it in a corner store. In the Soviet Union, the word "deficit" was commonly used in everyday language. "This and this product are in deficit." This meant that you couldn't buy them. Maybe for the next three months or maybe forever, unless someone was bribed or the product was obtained via the black market, friends, or contraband. Fruits and vegetables had their "seasons" when they made an appearance in local stores -- we didn't have advanced technology like hydroponic farms. Instead, adults were herded into collective farms, which were the Soviet antithesis of family -- or individual-owned farms. Under cheerful banners of "accomplishing a five-year plan in four," they usually underperformed and the bureaucrats responsible faked the numbers, which moved up the chain of command. "Deficit." I heard this term a lot, as I stood in long lines for bread and milk in stores with cheerfully generic names like "Progress" or "Sunrise." The lines resembled those formed by hipsters in America lining up for the sale of the next iPhone model -- except we stood in them every day. As much as my family shielded me from their troubles, they couldn't protect me from factors beyond their control. They couldn't raise my level of living above theirs. And they certainly couldn't get me anesthetics for dental visits. Sitting in the gray, sterile corridor for two hours, hearing the sobbing of the kids already in the dental chair as their teeth were drilled without anesthetics, water, or suction, and knowing that your turn was coming -- some handled it better than others. In the local clinic, needles were resterilized and reused. 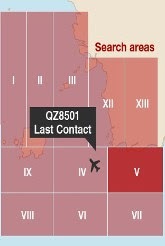 Ambulances took three hours to arrive, if they came at all. That was our "free" healthcare. We also lived in a "free" apartment, which was suffocatingly small by American standards, and it took years, if not decades, for an average couple to obtain such a place. 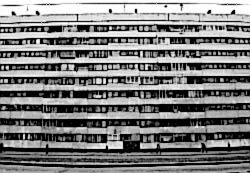 Usually, several generations of a family lived under one roof until the government bestowed upon its citizens another gray five- to sixteen-story building that looked just like its gray neighbor and had the same exact green-painted swings in the yard. Since almost nobody had cars, people could rarely afford to move to another city or republic. Public transportation, which we all had to use, consisted of cranky people squeezed tightly like sardines inside a rusty box on wheels. Despite that, when I was eight, I wanted to be a trolley bus driver. Partially because of all the buttons he flipped to open and close doors, but mostly because there was a wall between him and the sardine can. The walls in Soviet apartments were poorly insulated from noise and cold. Therefore, wall carpets were dominant in Soviet culture. They all looked similar, usually colored red with abstract, curving patterns. Soviet factories were state-controlled. Variety was not a concept. 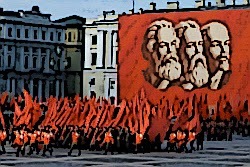 The color red was all over the place -- it garnished the banners hanging off the sides of gray five-story buildings, with profiles of Lenin, Marx, and Engels fluttering lightly in the wind, proclaiming that "Marxism-Leninism is the symbol of our times." Others stated, "Forward toward Communism!" Red was splattered on our classroom walls and our school uniforms. In grade school, you became an "Octyabronok" (named after the October 1917 revolution) and wore a Lenin-faced star on your lapel. 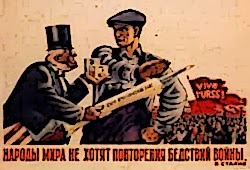 You got a free newspaper, the "Young Leninist." Later, you became a "Pioneer" and swapped the star for a red tie. After that, you moved on to "Komsomol" (All-Union Leninist Young Communist League). Those who did not follow the groupthink enough to make it to "Komsomol" lost access to crucial resources and careers later in life. I grew up with no concept of "brands." If I wanted to get that shoddy water pistol that suddenly appeared in a store, and my parents let me, then that was the water pistol. It broke in two weeks, of course. Bread in the stores was the bread. Milk was the milk. Kolbasa was the kolbasa. Everything was manufactured by the state to provide the minimum required survivability, and minimum expected functionality. Improvements in design and the manufacturing process did not exist. When I came to America and laid down on an American bed, it struck me that it was more comfortable than any bed I'd ever experienced. It was the result of evolving design oriented toward customer satisfaction -- a concept alien to my former homeland. The two famous brands of Soviet cars, Zaporozhets and Moskvich (both named after their places of origin), just... existed. We didn't really have Zaporozhets 1980 followed by a new and improved Zaporozhets 1981 -- now with power steering! No such thing. It was a car, and it required no further improvement. There was no customer demand, because people were poor, the state-controlled prices were very high, and product evolution crawled at snail's pace. The very concept of "customer convenience" did not exist. We didn't have bottles sculpted to fit the shape of your hand, nor did we have polite cashiers, for they were under no obligation to please anyone -- they worked for the state. The abacus was still in common use in our stores while American stores had electric change machines, credit card readers, and sliding doors. Like most things, clothes were in "deficit" and thus traveled from older to younger siblings in every family over time. Broken things weren't thrown away but repaired. Our giant lamp television was carried in the family since about the time I was born. It received three channels -- all State-controlled. On our evening news program, the Chernobyl disaster announcement was calm and lasted fifteen seconds. 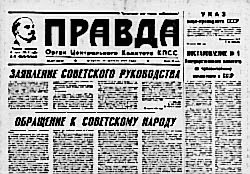 Our state papers, such as Pravda and Izvestia, were not read but used as invaluable sources of free toilet paper. This is not a joke. Our propaganda put the big focus on the noble working class and how there was no such thing as a "lower" profession. Much emphasis was made on the nobility of simple working man, and certainly there is something to that. But when the janitor receives roughly the same salary as a teacher who is paid roughly the same as a surgeon who is paid roughly the same as a programmer, all of them surrounded by peers who get paid the same no matter how well or poorly they perform, some people start carrying the team, and then they just give up. Everyone performs poorly in the end. It was painfully obvious to everyone just how low the desire of the average person is to produce goods for other people. Without competition or opportunity to get ahead, with the state controlling production and paying equal salaries to workers regardless of their contributions, we had no concept of abundance. With our "free" services, we regularly experienced water and electrical outages and sometimes went to a nearby forest to get water. 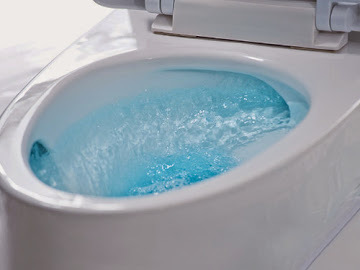 Once you fill that bathtub with water, you can't use it for anything else. The first time I entered an American food market at the age of seventeen, I froze. Older Soviets who visited American stores for the first time, got hit harder -- all the lies they were taught from childhood through the decades of their lives -- until that last moment, they expected them to be at least partially true. Sure, they heard stories from overseas, but come on, those were just the Potemkin villages, mirages created to make the Soviets jealous. How can one imagine the unimaginable? "They told us in Odessa, that in San Francisco it's hard to find milk." 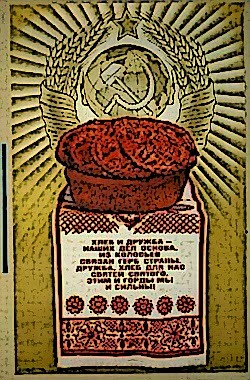 This is the typical Soviet mentality, and they were used to it, and they bought into it, and then they entered that American supermarket and saw the rows upon rows of milk of different brands and kinds and fat percentages. This is where some have been known to cry. It is the realization that their lives were stolen from them by the regime. A realization of what could've been, if they had been lucky enough to be born in this place which, from everything they knew, could not possibly exist. I now live in Northern California, in the heart of the Bay Area, thousands of miles away from my homeland. 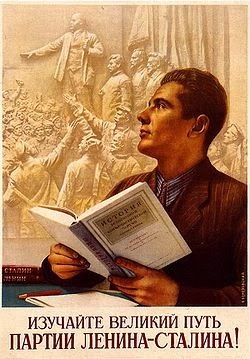 And yet the poison of Soviet propaganda seeps through college dorms just as it did in Soviet classrooms. Stop a random youth on the street and you'll find out what he thinks about capitalism (bad!) and communism/socialism (good!). Their favorite news programs are the "Daily Show" and the "Colbert Report," where comedians reinforce their brainwashing via short, catchy clips. 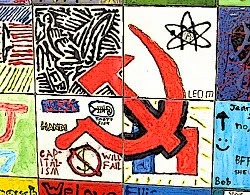 Walk through Berkeley and you will see wall graffiti of the same hammer and sickle that adorned the big red flags of the Soviet era. This doesn't extend to just youths. People of all ages, even acquaintances that I otherwise respect and admire, are like this. They support the "progressive" leader Barack Obama, worship the nanny state, and believe in equality of outcome rather than equality of opportunity. They badmouth capitalism and complain that only one percent of the American population has the "American dream." They buy into the class warfare rhetoric hook, line, and sinker. They want artificially raised minimum wage, government handouts, and believe that Obamacare is the greatest thing since the invention of pockets. 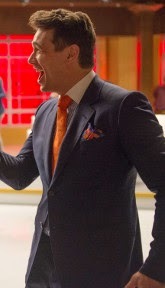 I look at them and the red ties materialize, familiarly, around their necks. There are "academic" speakers now who advocate that having too many choices is "bad for you." Too stressful to choose, you see. Living in the Soviet Union, being bombarded with similar nonsense, we had nothing to contradict it. When we walked outside the school, the everyday reality had no traces of the wealth afforded by capitalism. We lived in the grayness and that grayness was all there was. Americans leave school to go home and they drop by a mall to buy something from an incredible selection of wealth and choice afforded by capitalism. 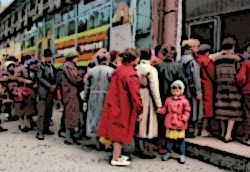 They drop by a small corner store, which could probably feed a savvy Soviet village for a month (dog food is food, too, you know), and they pick up some "entertainment food" that did not exist in the USSR, in quantities that weren't affordable for an average Soviet family. Then they go home and write essays on their expensive iPads about how they don't have the American Dream. Now, most American news sources are no different than Pravda and Izvestia. Now, the government used the IRS to stifle political opposition. 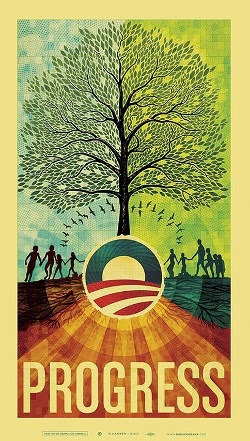 Now, ObamaCare is a wealth redistribution platform disguised as a common good. Now, Obama is being portrayed in academia and the media alike as a charismatic, messianic, "progressive" figure, fighting for the "underdog." He would feel right at home as the General Secretary of the Communist Party. Now, Obama Youths are me, from decades ago. Leninist academia has had its way with them. Now, just like Soviet leaders, American leaders give lip-service to "social justice" while stocking up on personal wealth for their families. There's nothing new under the sun. I'm hardly the only ex-Soviet to point out the parallels. But some things matter enough to bear repeating. Dear beautiful America, please, stop moving Forward. The next two years will be among the most dangerous in the history of the United States. It may lead to the end of American history. 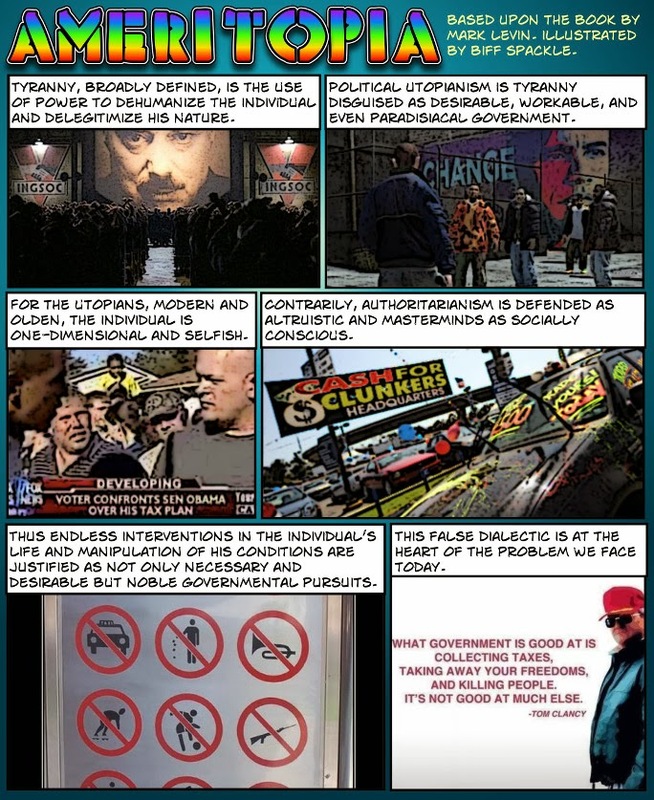 So progressives and other miscreants can follow along... based upon the outstanding bestseller by Mark Levin. Larwyn's Linx: On trying to shoehorn populism into the modern Left. Somehow. Somewhere. 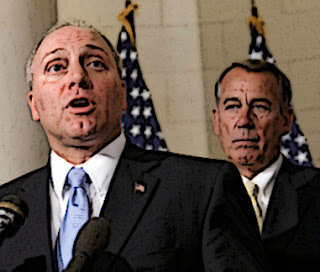 Sponsored by: Boehner REPLACEMENT INSTRUCTIONS; Your step by step guide to replacing the SPEAKER! Page A1: The economy had a great year! Page A2: Isn't it terrible Congress passed so few laws this year? My blood has been boiling, I've been grinding my teeth, listening to all this, watching this, two dead police officers, murdered. President of the United States issues a statement, a written statement. The attorney general of the United States always wants to debate race (with this "nation of cowards"), nowhere to be found. Another coward, another phony. Yes, they do have blood on their hands. No, they didn't kill these police officers. But they have created an environment with their political war against the cops in this country borne out of Ferguson, Mo., with a police officer there whose career is destroyed, who has a death warrant on his own head, was defending himself and shot a thug who first tried to take his pistol and then returned for more! 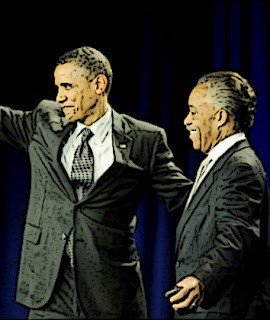 And out of that, out of that, the president of the United States and the attorney general of the United States, that piece of crap Sharpton, wherever he shows up, isn't it funny, things seem to happen, usually violence. Out of that we get riots! Stores are burning in Ferguson, Mo. People are throwing Molotov cocktails. People are shooting their guns. The liberal Democrat governor pulls back on the National Guard. The police have to walk around with their hands in their pocket, afraid to do anything to protect the citizenry. Borne out of what? A lie! A fraud! Because Michael Brown didn't have his arms up in the air. He was trying to assault, again, if not kill a police officer! You'll think this is satire, but Michael Snyder assures us that it is anything but. ...I thought that there was no possible way that this could be real. I really thought that this must have come from some sort of parody website. Did the Saudis and the US Really Collude to Smash Oil Prices? We don't have to look too far back in history to see Saudi Arabia, the world's largest oil exporter and producer, using the oil price to achieve its foreign policy objectives. In 1973, Egyptian President Anwar Sadat convinced Saudi King Faisal to cut production and raise prices, then to go as far as embargoing oil exports, all with the goal of punishing the United States for supporting Israel against the Arab states. It worked. The “oil price shock” quadrupled prices. Turning to the current price drop, the Saudis and OPEC have a vested interest in taking out higher-cost competitors, such as US shale oil producers, who will certainly be hurt by the lower price. Even before the price drop, the Saudis were selling their oil to China at a discount. OPEC's refusal on Nov. 27 to cut production seemed like the baldest evidence yet that the oil price drop was really an oil price war between Saudi Arabia and the US. Larwyn's Linx: Not peaceful protests: Promoting a race war that will lead to "communist revolution"
...An institution can absorb only so much slander. Are the cops overly sensitive to criticism? If so, they have good reason: like officers Liu and Ramos, they put their lives on the line every day. 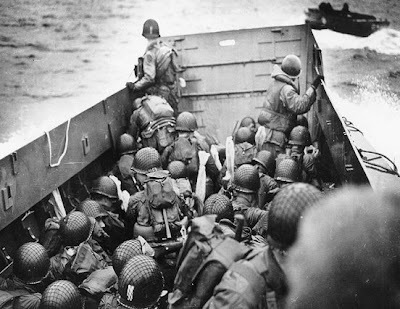 They go to work every morning knowing that this could be the day they don’t come home. Not many of us can say that we understand what that feels like. Certainly, few of the angry undergraduates and middle-class trustafarians shutting down freeways and lying down in the middle of Grand Central know anything about it. Writing in National Review, Josh Gelernter offers a very different spin on the "nullification" debate. 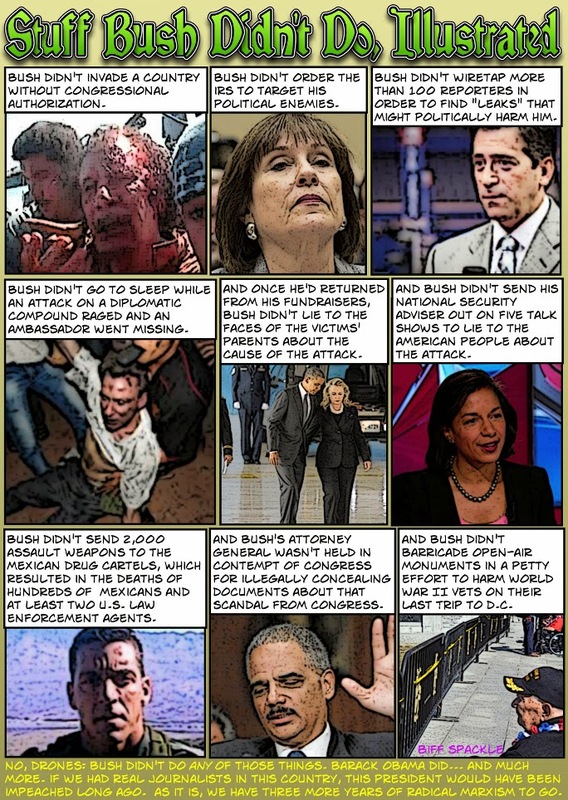 While acknowledging that the judiciary has consistently ruled against the nullification doctrine, insisting only it has the authority to declare laws unconstitutional, Obama's "Executive Amnesty" is something very different from a law. This week, Tennessee became the 25th state to join a lawsuit against the president’s executive amnesty order. The lawsuit may work, but there’s another, more direct, and considerably more interesting redress against executive overreach [first p]roposed in 1798 by Thomas Jefferson and James Madison. ...The nullification doctrine posits that, as the federal government is the product of the Constitution, and the Constitution is a compact of the states, it’s the states that have the final say on any law’s constitutionality. If a state determines that a law exceeds the terms of the compact to which it agreed, it has the right to nullify that law within its own borders. 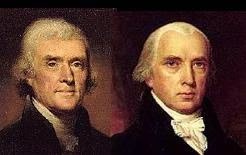 Jefferson and Madison’s idea was for states to declare the Alien and Sedition Acts null and void. Instead of joining a lawsuit against the executive amnesty, those 25 states could simply deem the executive amnesty null and void, and refuse to recognize illegal aliens’ work permits or issue them driver’s licenses. The judiciary has consistently ruled against the nullification doctrine, asserting its unique, judicial right to declare laws unconstitutional. But this executive order isn’t a law. And given its extremely shaky legal footing, it isn’t difficult to imagine a federal bench recognizing the states’ right to disregard federal orders that don’t clearly have the force of law. And that would be a tremendous — tremendous — blow against the executive’s assumption of legislative powers. But in the shorter, directer term: It [nullification] would force the Obama administration to go on offense, suing the states to enforce a law that isn’t a law. And I don’t think that case can be made. I think this is an intriguing idea. Gelernter notes that your state's governor and attorney general should be contacted, especially if you live in a red or purple state. Nullification may be a non-starter under normal circumstances, but nullifying non-laws should be anything but controversial. Yes, really. Muslim Matters is a news hub for all things Islamic, with a special focus on Western countries. MM has a mere 425,000 "likes" on Facebook, which indicates it is quite mainstream. Of course, he's not just holding up a book; he's also holding up a flag. 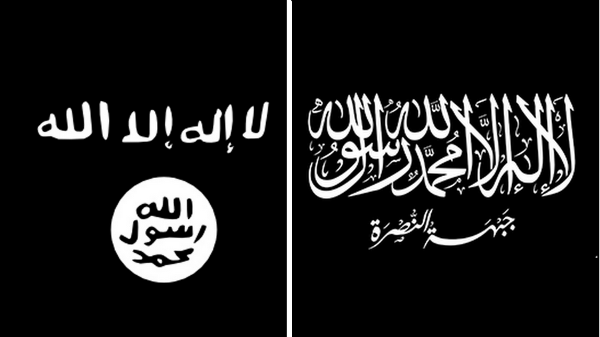 And not just any flag, the black flag of ISIS. When even Al-Arabiya is reporting that ISIS has committed crimes against humanity, you may want to rethink the cheerleading, fellows. To wit, "Massacres, beheading boys as young as 15, and amputations and lashings in public squares that residents -- including children -- are forced to watch figure on the list of crimes, as does the widespread use of child soldiers, stoning women to death for suspected adultery and holding women as sexual slaves and forcing them to bear children for the fighters." Or is ISIS now what passes for moderate, mainstream Islam? Hat tip: BadBlue News. Reference: "Know Your Terror Flags." I suspect Santa will be bringing former New Jersey principal Antoinette Young a dictionary for Christmas this year. A large sign outside a New Jersey elementary school that misspelled “December” appears to have cost the principal her $108,000 a year job. 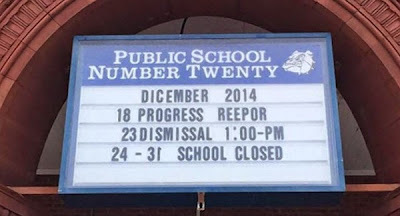 The Bergen Record says the sign outside School 20 in Paterson also notified people of the date for “progress reepor” and contained a backward numeral 1. “If this is how the administration takes care of signage, how can we expect the students to do better? We must be held to a higher standard,” he wrote in an email accompanying the photo. Days after Teague brought up the sign, education officials announced that the principal, Antoinette Young, was being demoted and transferred to another school. 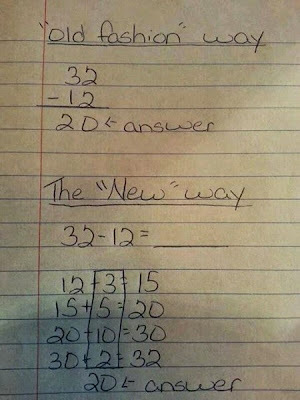 By all means, libs, let's make sure that the poorest kids and their parents have no choice when it comes to their education. Let's lock them into failing public schools where there's literally no accountability for teachers or administrators. Because teachers' unions are for the children, right? Credited to rappers Uncle Murda and Maino, the video is subtitled “Eric Garner Tribute,” a reference to a black man who died while being pinned and restrained on a sidewalk by New York police officers. The taxpayer money that went to the organization shown in the video, the Bronx Defenders, comes from a Justice Department program named for Edward Byrne, a New York Police Department officer who was shot dead at close range in 1988.